This play frame offers two dimensions of play with its clamber net to one side and horizontal planked stairs to the other. This large 1700mm A frame climber features a net to both sides that presents a challenging up and over climbing experience. This traditional climber features a Slide, planked Ramp and Peep holes. This vertical climbing frame challenges children to develop confidence in climbing and features an additional climbing rope to present a multi-skills play feature. This vertical climbing feature challenges children to develop confidence in climbing. This is a self-assembly product, that requires a two person delivery/lift/ assembly. The estimated weight is 900kg. “With the soft chinks of chains, this outdoor music play item brings new and interesting sounds to the garden orchestra. It also adds a new texture for children to touch and move. Approximate Dimensions: 1200mm (L) x 150mm (D) x 1500mm (H). 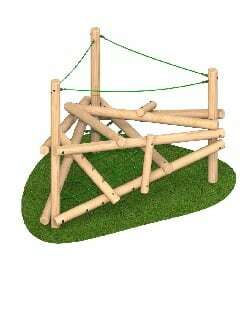 Children can enjoy climbing through these junctions of timber and rope on this ever popular play item. 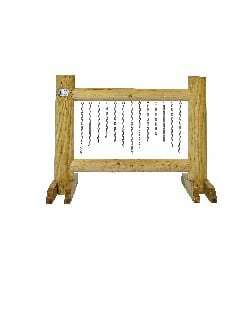 This popular play item provides children with the challenge of negotiating this maze of inter-weaving timber and rope. VAT will be calculated and added at the checkout. Watch nature take its course with this composter. Recycle your organic waste and watch as the worms get a wriggle on. Develop opportunities to learn about recycling green waste and provide children with the opportunity to observe and handle wildlife within their setting. 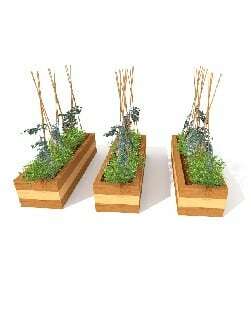 This timber wormery has a great viewing window easy accessible for wheelchair users. Easy installation, self assembly required. Approximate Dimensions 900mm (L) x 900mm (W) x 900mm (H).